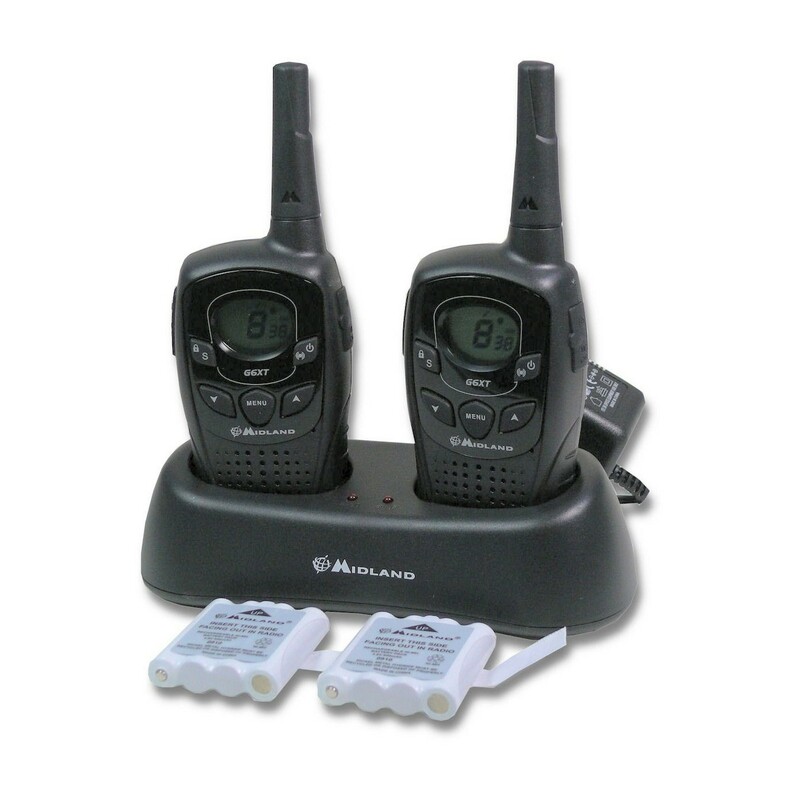 The Midland G6 XT PMR446 Radio Twin pack is a bundle pack featuring two G6 two-way radios, chargers, and batteries: an ideal starter kit for anyone who needs a quality set of walkie talkies for on-the-go mobile communication. 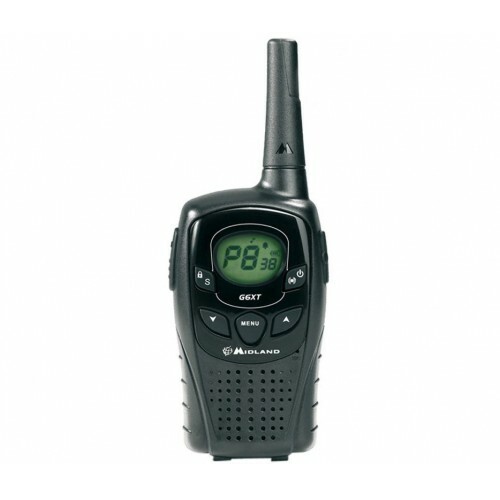 Easy to use, the Midland G6 XT has a feature set familiar to anyone who has used a walkie talkie which is easy and intuitive to operate with little to no training. The radio features VOX adjustable on 3 levels and VOX talk back feature, out of range, “Roger Beep” or end-of-transmission signal, CALL function with 5 selectable tones, SCAN and monitor functions, Baby sitting function with dedicated channels and more. Navigating the features and menus of the Midland G6 XT is simple thanks to the back lit LCD display which provides output information. Clearly labelled front buttons allow for interaction with the different features. Equipped with an auto power save, the Midland G6 XT is always working to conserve energy and act to insure sufficient battery life for when it is really needed. The radio can be powered either by the included rechargeable battery pack or 4 AAA batteries. A low battery indicator is displayed on the LCD should the radio be running on power.